The story of AA Milne's creation of Winnie the Pooh, and the effect on his relationship with his son, Christopher Robin. We've come to that time of year again, 'Awards Season', which for the UK film industry usually means a slew of biopics of notable British historical figures. Being notable doesn't necessarily make you interesting however, and biopics focussed on creative types often struggle to mine drama from lives spent in studies and drawing rooms. On paper, a movie based on the life of Winnie the Pooh creator AA Milne sounds about as exciting as a biopic of Noah Webster, the dictionary king (no doubt Hollywood will get around to him eventually), but Goodbye Christopher Robin manages to extract a touching family drama from its decidedly middlebrow source. 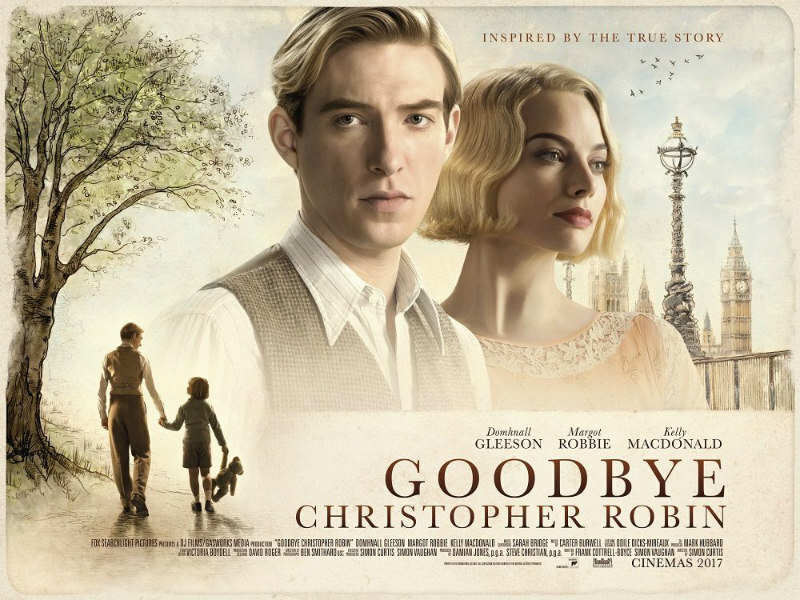 Suffering PTSD, with every snap, crackle and pop setting his nerves off, Milne moves to the Sussex countryside with his wife, society princess Daphne (Margot Robbie), and his young son Christopher Robin (Will Tilston). Poor young Christopher is neglected by his parents, who fear growing attached to the boy, assuming he will be killed in some future war as soon as he comes of age. Instead, Christopher is left in the charge of his nanny, Olive (a career best Kelly Macdonald), who raises the boy like her own son. When Daphne grows frustrated with the isolation of country life and her husband's foul moods, spurred on by his writer's block, she returns to London, and when Olive is forced to leave temporarily to care for her ailing mother, Milne finds himself in sole charge of his son. For the first time since the boy's birth, Milne begins to bond with Christopher, and the two create a fantasy world inspired by the idyllic woods surrounding their home (rendered as a verdant dreamland by cinematographer Ben Smithard), turning the child's cuddly toys into characters with distinct personalities. Suddenly, Milne finds his creativity returning, and decides to expand the world he has created for his son's pleasure into a series of books that take the world by storm. Now that her husband is a cash cow, Daphne returns, and all seems well, but Christopher finds his childhood has been commodified, and begins to resent his father. For much of its running time, Goodbye Christopher Robin is as saccharine as a paw full of honey, but I'd be lying if I said I didn't find myself getting wrapped up in its warm blanket of enchantment, and a couple of times I found myself complaining of having something in my eye. The segment devoted to Milne and Christopher's bonding in the woods is charm personified, and I could have happily watched an entire movie of the father and son duo prancing around, playing cricket (badly) and mining their imaginations. Yet Simon Curtis's film also explores some dark psychological crannies. Set between two world wars, there's a cloud of existential dread looming over these scenic woods with the awareness that Christopher Robin will become a young man just in time to be shipped off to the battlefields of Europe like his father. There's a quiet anger too, personified in Gleeson's stoic face, at how his son is a disposable pawn in a rich man's world of conquest and violence. But mostly, just like Preston Sturges' classic Sullivan's Travels, this is the story of an artist accepting that he may not be able to change the world with his talent, but by using it to bring a little joy to millions just when they need it most, he can make the world a little more bearable. 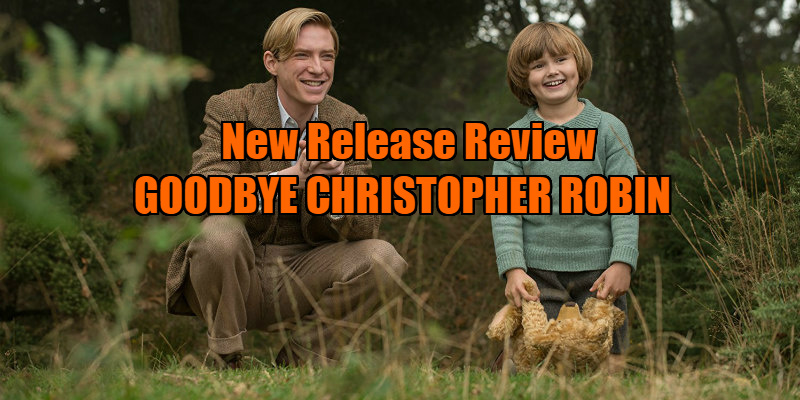 Let Goodbye Christopher Robin bring a little joy into your world for a couple of hours; it has a hundred acres of heart, but it will also make you think, think, think. Goodbye Christopher Robin is in UK/ROI cinemas September 29th.